Pura Vida was made to be shared as you celebrate life's special moments - sipping margaritas poolside at the Delano Hotel in Miami, shooting the curl in Puerto Escondido on a 30 footer, warming the soul fireside at Hotel Jerome in Aspen or just cooking with family and friends at your casa. 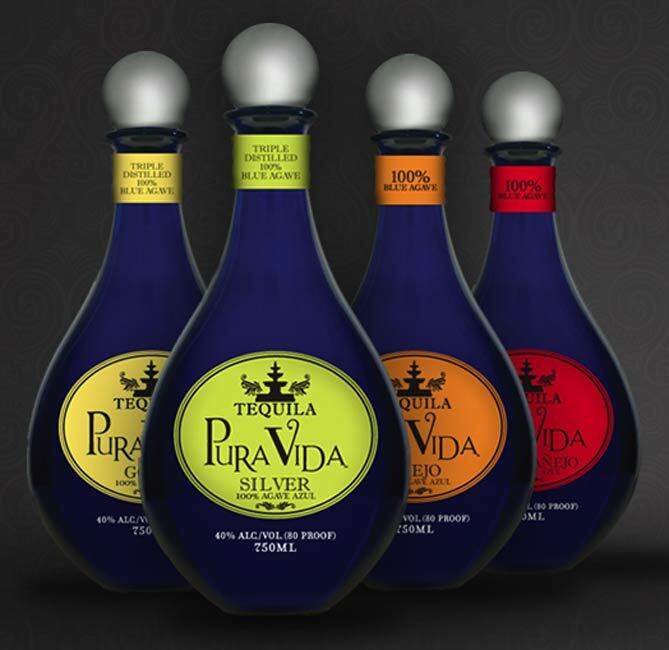 Made from 100% blue agave, Pura Vida enlivens any occasion with exceptional purity, taste and finish. Arouse your senses as Pura Vida transforms the most pedestrian cocktail into the uber, mack daddy concoction of them all. Gold (Reposado) - The first triple distilled Gold 100% Blue Agave Tequila, lightly "rested" in high quality, American oak bourbon barrels. Añejo - Triple distilled and aged to perfection for a minimum of one year in Kentucky bourbon barrels. Extra Añejo - Aged for a minimum of three years in second generation Cognac barrels. Simply put, Pura Vida is the best damn tequila you've ever tasted. Founder of and Co-Conspirator in Pura Vida Tequila, Stewart Lawrence Skloss stated, "Billy brings passion and a rock-n-roll-up-your-sleeves hard work ethic to our band of brothers. Gibbons has proven to be an incredible asset at Pura Vida beyond the wildest of expectations, especially given his 24/7 schedule of global tours, recording, and music industry projects. Joining our other eclectic blend of investors who share the same philosophy about life, he recognizes the benefits of helping consumers make a toast to 'Pura Vida' (Pure Life). For information on Pura Vida's product line, tantalizing recipes, good times tasting fiestas, and available retail locations, please visit www.puravida.mx or email Stewart Skloss at sskloss@puravida.mx.